I sent them an email welcoming them to the fold and congratulating them on their donation of 20 Pi to their local College. Got an email reply within 15 minutes from Jason King one of their head guys. Earlier I made an order there for an RPI (MADE IN THE UK!). I used that and the transaction went ahead smoothly. I now look forward to the item's arrival (at last). I personally think the lads at New IT are very friendly and helpful. As I've mentioned in another post on here, I went to their unit last night and got my hands on the Rev 2 board. I couldn't believe how easy it was to get a Pi, after this horrible long wait with RS to sort themselves out. I am so grateful for the lads at New IT for allowing me to drive the few miles to pick up a Pi from their unit, so that I didn't have to wait any longer. If anyone else local to the area wants to pick up a Pi, please bear in mind that they can only accept cash at the unit. I don't think they have a chip and pin reader to pay by card. It is also good to hear a local company supporting their local college! Well done to the lads at New IT. Just to update everyone, we currently have 112 model B rev 2 boards left in stock, and we have another 300 landing on our doorstep on Monday. & hello to you! I placed an order this morning, via paypal, and got an order shipped notice AT 15:35. Can you offer to take over RS' dispatch system? I ordered in June from them to replace my first Pi that suffered irreparable damage to the SD card reader and I'm still waiting! f32mark wrote: Can you offer to take over RS' dispatch system? I ordered in June from them to replace my first Pi that suffered irreparable damage to the SD card reader and I'm still waiting! Just a quick note to thank NEWIT for their great service. I am now ready for action. I got mine from Newit, Couldn't believe I managed to get my hands on one so easily when people have been waiting months for orders from elsewhere. I bought the psu and power lead from them too. Cant fault the delivery but the supplied power lead is not up to the job. I spent yesterday afternoon trying to get my Rpi to work but keyboards wouldn't work, saw a post on here from someone else that bought from Newit and they had the same prob till they swapped the lead, I did the same and it worked. I have emailed Newit to bring it to their attention but there must be quite a few people having the same problem. No big deal but a bit disappointing and very frustrating when your trying to get a new piece of kit to work and its all down to a simple lead! Aquagraphix wrote: supplied power lead is not up to the job. We have removed the leads from the shop whilst we await delivery of a higher grade lead. We have had two batches of these delivered, the first batch were excellent, the second batch (despite being the same make and part number) have issues with supplying power. Apologies to all who have faulty leads, please email [email protected], quoting your order number and we will send out replacements as soon as we receive them in. f32mark wrote: & hello to you! I placed an order this morning, via paypal, and got an order shipped notice AT 15:35. Can you offer to take over RS' dispatch system? I ordered in June from them to replace my first Pi that suffered irreparable damage to the SD card reader and I'm still waiting! Just received my Pi, many thanks! Wow, paid yesterday, shipped today! Wonder how long it takes to get to holland.. I had become kind of discouraged by the shipping delays offered by the two main suppliers, but reading all those nice reviews, just ordered one, using card payment. I see from the pictures the power supplies are models for UK sockets (3-pin). 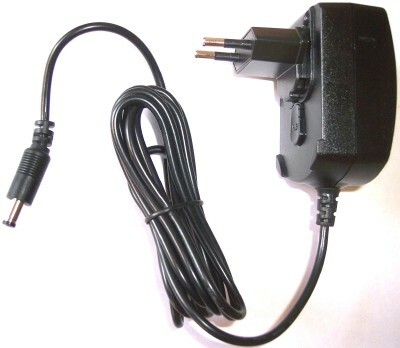 Is there an option to purchase a similar supply for European sockets? We are trying to source some good quality EU versions now, so i will update this post when we have stock in. I too can vouch for NewIT, at least as far as shipping quickly and actually having stock when they say they do. No pink packing box though. Perhaps that's a good thing? just like to tell you that I have very good experiences with NewIT. I knew them since long, I got my first SheevaPlug from them and the are very friendly and very professional with very good knowledge with tiny devices! I'm happy they are supplier now! When I saw they have the new version in stock, I ordered one (my 4th). What I can see from Royal Mail, my device was shipped an hour after ordering. I live in Germany, shipping is very cheap and very quick! I'll inform you when I received my Pi! Mine's been stuck in Royal Mail International centre since yesterday .... hasn't moved an inch! Mine was stuck for 1 maybe 2 days.. But now it should be in Amsterdam, so possible tomorrow in my hands? Please note that International Signed For® items are only tracked up until the point that they leave the UK. Airsure® items are tracked abroad and you’ll get confirmation of final delivery. Seems the package has finally moved ... maybe tomorrow! NewIT.co.uk wrote: We are trying to source some good quality EU versions now, so i will update this post when we have stock in. That's awesome, thanks for the information. It was shipped monday(right after payment) and received in Holland this morning(thursday).